The stop on Monmouth Place, Bath travelling from Bath to Bristol Airport will be closed from Sunday, 3rd September 2017 until Friday, 8th September 2017. During this time the best alternative stop for Monmouth Place passengers to board the A4 Air Decker service will be the Nile Street bus stop. If you require any further information please do not hesitate to contact us on 01225330444 / hq@bathbuscompany.com. This entry was posted in Uncategorized on August 31, 2017 by Connor Flavell. Unfortunately the A4 Service 07:30 departure from Bath to Bristol Airport did not operate at this morning. As a result of this, the 09:00 departure from Bristol Airport to Bath will start from Unity Road, Keynsham at 09:40. This entry was posted in Uncategorized on August 30, 2017 by Connor Flavell. Unfortunately the A4 Air Decker will be unable to serve the Lakeshore Drive bus stop on the Hengrove Way slip road for all journeys in the immediate future. The next closest bus stop for Lakeshore Drive passengers is Hareclive Road. This entry was posted in Uncategorized on August 17, 2017 by Connor Flavell. 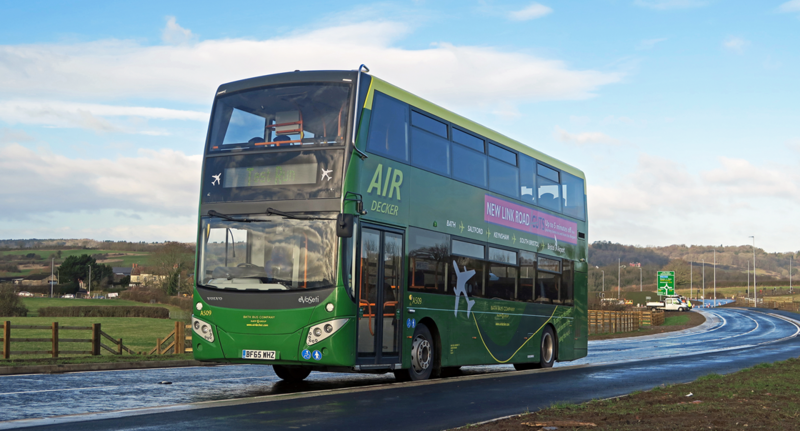 As result of the 38 being withdrawn from Keynsham Park Estate, people travelling from Bath to Keynsham will be able to use their adult single tickets or 10 journey tickets on the 349 service. Passengers wishing to alight at Keynsham Park Estate will be required to change buses at Keynsham Church. Changes to ticket use will take affect from 3rd September 2017. This entry was posted in Uncategorized on August 16, 2017 by Connor Flavell. The A4 Air Decker is currently experiencing delays due to an accident on the A38. Please can all passengers wishing to travel to Bristol Airport allow plenty of time for their journey. This entry was posted in Uncategorized on August 14, 2017 by Victoria.